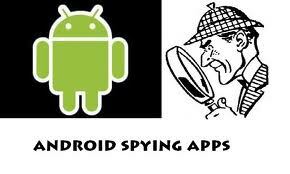 SpyWare Apps … How Scary Is This?? How Can This Stuff Even Exist? So there is an interesting story going on in the world today and I think it pertains to my page pretty closely and I find it extremely fascinating. It goes a little bit deeper than ruining relationships and if you haven’t heard, the FBI or government got a hold of one of the terrorist’s cell phones that were involved in the horrific San Bernardino attacks that took place on Dec. 14. You would think with all of the spyware and other software that is openly available to the public that the government would most certainly have no problem getting into whatever they wanted to on the phone and could do what they wish with it, right? Well as it turns out, they apparently can’t do it and are pleading with Apple for a form of software that would allow them to unlock and access the phone. How is it that all any old Joe Shmo has to do is go online and pay a few dollars for some spyware apps that gives them the ability to spy on other people’s phones, but the United States Government does not have the technology or ability to unlock an iPhone? I really don’t see how this is possible and I just cannot buy the fact that they don’t have this ability. I guess it does make me feel better in some sort of sense though that they don’t just go around hacking people’s phones all day, right? I don’t know though. There is something fishy about this story that just doesn’t add up in my book. Now that you see where I am coming from when I say that technology in general has ruined relationships, I can talk a little bit about what this whole page is supposed to be about. 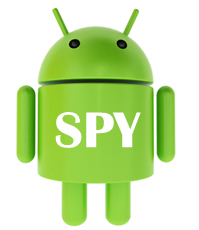 We all know what these spyware apps were made for and it is no secret. These were developed so programmers could make a fortune off of insecure partners, which very well may be warranted by the way, and those who want to know what their significant others have been up to and who they have been talking to. I have personally never used any of these things because I think they are horrible and is just one step closer to eliminating any sense of privacy, but I definitely have some friends who have them installed on their phones so they can spy on their girlfriends. Want to know what the best part of that is? I do not have 1 friend that has found anything to incriminate their significant others which is what surprises me the most. If you feel the need to have some of this software I am assuming you are pretty sure that your partner is cheating on you or something very obvious, which I do understand in some sense. But if you don’t find anything shady within a couple of days I think you can be safe to assume your fears were unwarranted and you can uninstall the stuff immediately. I don’t know what these guys are hoping to find and I think it is a way for them to find what they kind of want to see, in a weird way. Why else would you be so determined to use this?? Oh What Could Have Been?? Yesterday I talked about how I think all these smart phones and just technology in general has had detrimental effects on relationships for a number of reasons, and today I am going to talk about the more obvious reasons things like these spyware apps can be absolute life ruiners. I really hate the fact that between facebook and the internet you can pretty much look up anyone that you have known in your life and with the click of a button reach out, and see what could have been. Luckily for me I have been in a very healthy and perfect relationship with my girlfriend so this really isn’t something that I have to worry about anymore, but from personal experiences that I am not proud of I can testify just how easy it is. Back when I was a dirtbag, I will be the first to admit that I have definitely looked up a few women from my high school and reached out to them through Facebook and it could not have been easier. One of my ex-girlfriends from high school was living in the town that I lived in and I made the attempt to patch things up and grab some dinner with her. Long story short we got dinner, then drinks, and I will spare you the details but we ended up back at my place at the end of the night. Wrong. She decided to wait until the morning to tell me that she had been dating someone for the past 5 months and that we need to keep this under wraps. Needless to say that was the last time I have spoken to her. Kind of going off the same topic as yesterday in regards to privacy being over, I think things like these spyware apps are a huge reason relationships seem so difficult to find and maintain these days. I think this is the result of a number of different factors and it really is a shame. The way things are going I really only see things getting much worse and it is terrifying. I have no idea what I would do if I didn’t have my girlfriend Amanda already. I could never imagine entering the dating scene again with all of this stuff going on and just getting worse by the day, making access to someone’s private information and space easier than ever. 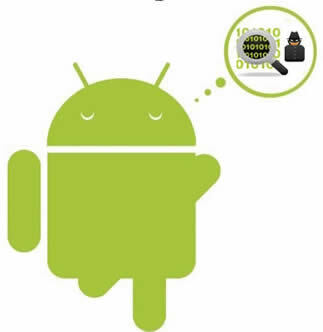 I think it is pretty obvious why things like these droid spyware apps can be detrimental to relationships, but I think the ease and the absolute necessity of cell phones in itself is hurting relationships. Back in the day during our parents generations and before that you had to go through A LOT to get in touch with somebody. Could you imagine having to call someone’s house phone just to talk to a girl that you have a crush on? Think even before that, when there were no phones and what you would have to do to make a relationship work. Now it’s as easy as reaching into your pocket and immediately contacting any person you know and you can do so with as many people as you wish. It is far too easy to reach out to people and I think it is hurting relationships. I mentioned real quickly on my last post that in my younger days I would have been in a lot of trouble if a select few people in my life had access to this spyware app and had control of my phone. I really don’t like the direction that things are going in in regards to our privacy and the prevalence of smart phones out there today is mind boggling. I can’t even imagine what life was like without having a smart phone on you at all times, let alone not having a phone at all. I really think that I would have appreciated these times much more and am actually pretty envious of our parents generation who grew up without the ability to be in contact with whoever you want whenever you want. The days of any sort of privacy are dwindling and I am afraid for what this is going to turn into in the years to come. Think about how much all of this has advanced exponentially in the past ten years and think about how much crazier it is going to get in the next 20. As all of these smart phones become more advanced you know the software to spy on these devices is going to grow right along with it. I am not on board with this idea whatsoever. We are living in a pretty crazy world these days with the ways technology has been getting more and more advanced by the day. I remember being in high school and not getting a cell phone until I was a senior and didn’t think twice about it. I didn’t even want the stupid thing; I just saw it as a way for my mom to check in on me easier and make things harder to sneak around. These days you have more to worry about than just your mom checking in on you and I can’t believe how much our privacy is at risk by people you don’t even know and when you have no idea it is even going on. You might not even be aware of it, but there are apps that anyone can get that allow you to spy on other people’s phone activities without them even knowing about it and the way people revolve their lives around their phones these days it is a terrifying thought. Now that I have grown up a little bit and got most of my debauchery out of my system at this point, there have definitely been a number of occasions where certain people spying on my phone could have ended with me being murdered and I am not proud to admit that. Am I the only one who sees this taking us down a very scary road? How far will people try and take this?